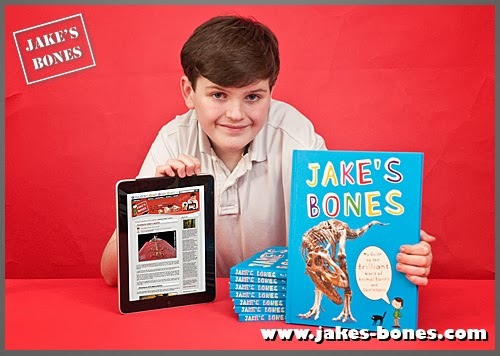 You are here: Jake's Bones > Winterwatch, and seven other cool things happening ! 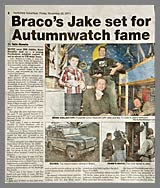 Winterwatch, and seven other cool things happening ! 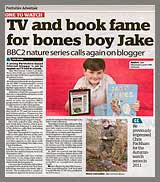 Right, I am going to write about the REALLY big news first: you can see me live on BBC2 TV at 9pm on Wednesday night when I will be on Winterwatch Unsprung (straight after the main Winterwatch programme) ! 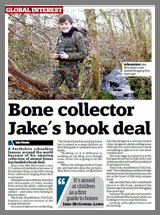 I've been asked to talk about some of my skeletons and bones, I will be meeting Nick Baker (who is the Unsprung presenter and a really good wildlife expert), Chris Packham, Michaela Strachan and Martin Hughes-Games (who are the main presenters, but on they will be on Unsprung too). 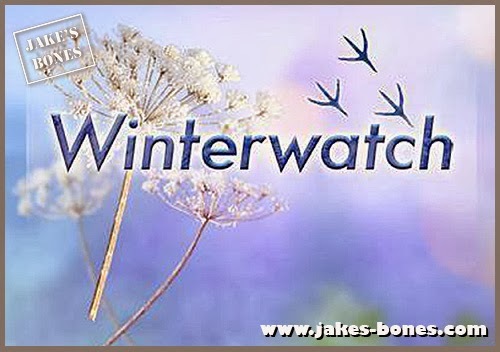 If you are not from the UK, BBC Winterwatch/Springwatch/Autunmwatch (which I have been on before) is one of the biggest wildlife TV programmes in the UK. It goes out live from a wildlife reserve in the UK, and this year it is from Mar Lodge in the Cairngorms, which are few hours drive from me. It's on every night this week from Monday to Thursday on BBC2 It will be an amazing experience and I am hoping to write a post to behind the scenes on Thursday ! My book is coming out ! I finally got to see my book this week and it looks amazing ! 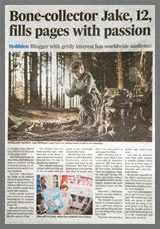 After all that work it's great to see it in print. It will be coming out on the 3rd February in the UK and 4th March in the rest of the world. I wrote about finding the pine marten before and my trail camera has been in the same wood ever since, trying to film it again. 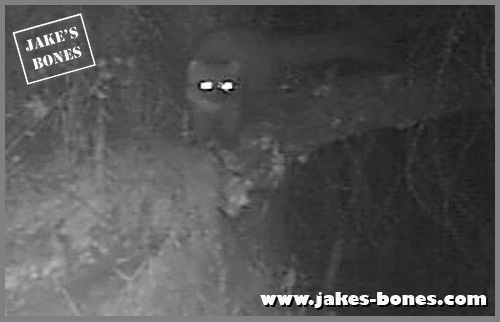 After about a month of not seeing it I finally got some more video footage of it again this week, and I've moved the trail cam to where I think it may be living after I had a bit of a hunch. It might not be living there at all, but it's worth checking out all the same. Oh, and it likes jam sandwiches with crusts cut off the most. Weird. 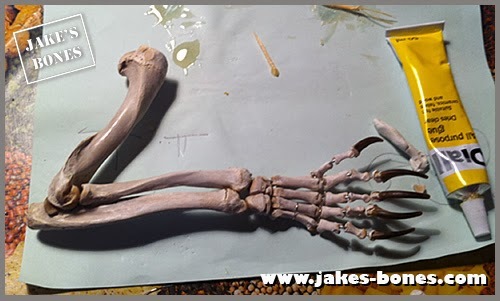 I have been working hard on the badger skeleton, because Winterwatch have asked me to bring it up to the studio. I'm HOPING it will be finished in time, but I have a LOT to do. The above is the right leg and paw, which I was working on today. 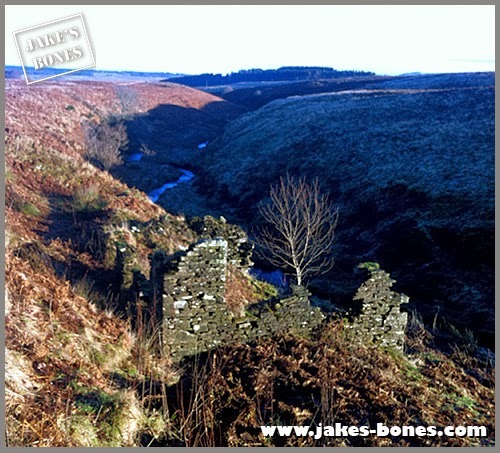 I have written before about exploring deserted old farmhouses from centuries ago, and I have found two more, which were almost invisible on satellite photos. 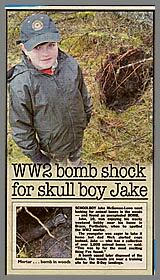 I am hoping to go and explore them soon, and find out more about their history. Here's one of them, about half a mile away from where the pine marten is. One of my dads friends, called Sarah, who lives in Australia, has been very kind in the past and sent lots of skulls, including my kangaroo skull. 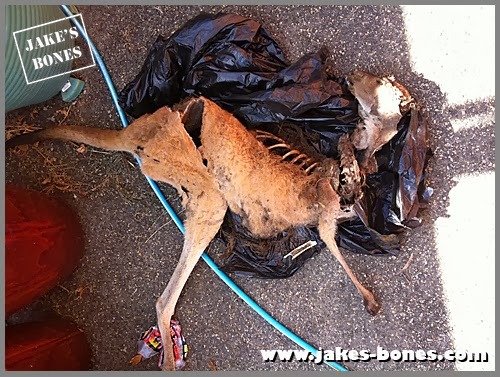 She found this road-kill kangaroo and she is cleaning it up by masceration and then is sending the bones over to me. She is very kind, thanks Sarah ! 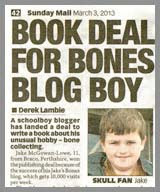 My friend Ben Garrod, who is a bone expert and is really nice and funny, is going to present a TV series called "Secrets of Bones" on BBC4 , starting on the 17th of February. I'm REALLY looking forward to it: it's six episodes, each an hour long, and he's promised to do an interview with me here while the series is on. 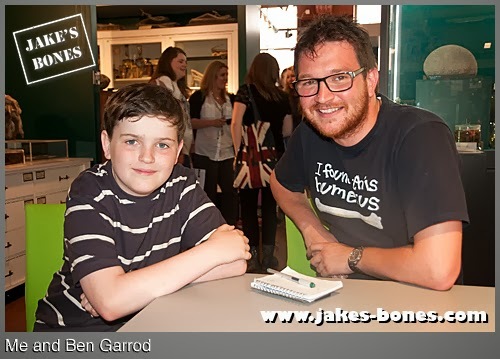 If you're on Facebook, Ben Garrod's fan page is here. 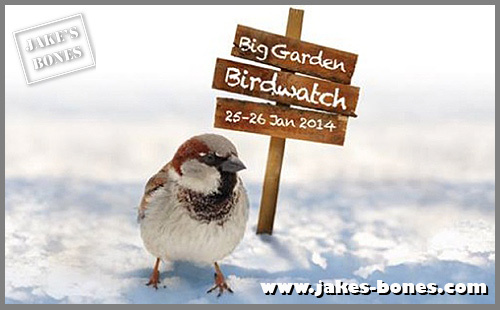 If you're in the UK, next weekend is the RSPB Big garden Birdwatch. (If you're not in the UK, it's still going to be the Big Garden Birdwatch but you can't take part). It only takes an hour of your time and all you have do is look out your window for an hour and write down what birds and animals you see. The RSPB will compare with previous years and see if there are more or less birds. 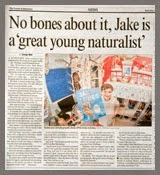 It's a great thing to do, and I blogged about my birdtable last year. So there's LOTS happening in the next month, but look out for me on Winterwatch Unsprung on Wednesday night, and look out for a behind-the-scenes blog post about it on Thursday ! You could buy it, but it'd probably have gone flat by the time I'm allowed to drink it ! 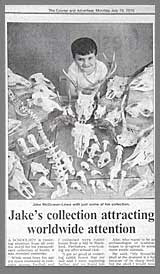 Pretty sure I haven't, the crocodile is the skull and the alligator is the whole preserved head. It's gone in my book and been fact-checked by experts. Sorry, not sure by what you mean by "pupas".